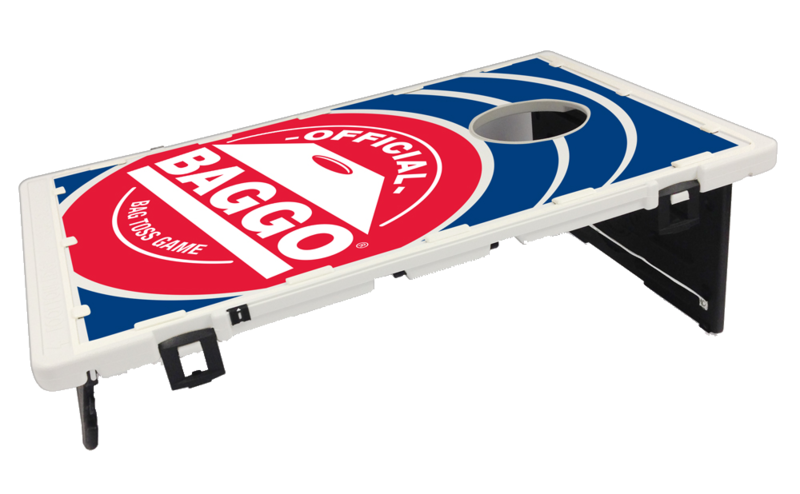 This isn’t your Grandpa’s worn out wooden bag toss set from the 1940’s, this a BAGGO! 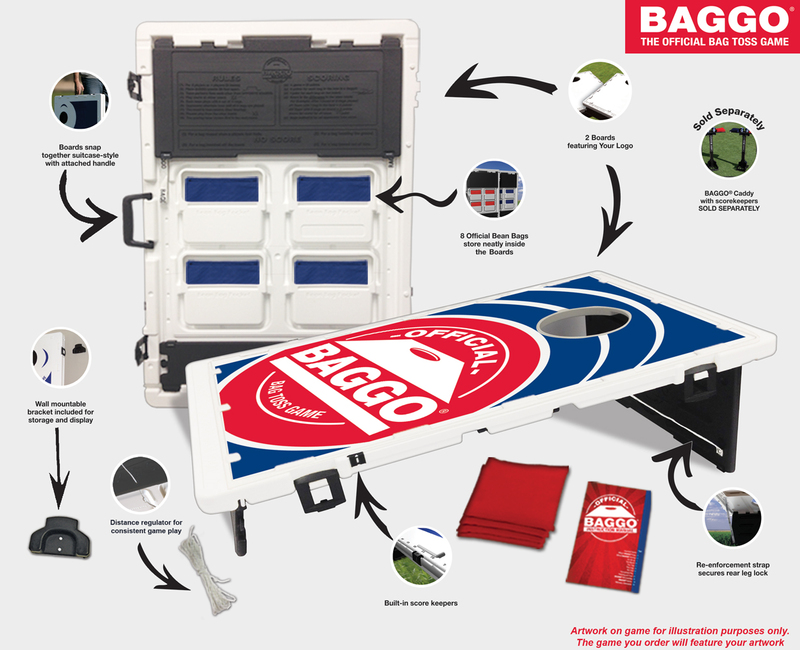 BAGGO is a Portable Bean Bag Toss Game that packs up & carries like a suitcase. BAGGO easily will fit into the trunk of any car & makes a perfect travel companion. BAGGO is great for all occasions, ages & skill ranges. Side locking clips allow the BAGGO game to clasp together in suitcase style for easy carrying. Dual pop out handles for easy carrying. Dual built-in score keepers on each game board. Front & Back game board legs give BAGGO the proper angle for playing. Imprinted rules & scoring on the back of the BAGGO game board leg for quick reference. Bean Bag pockets store 8 bags neatly inside of the game. Distance regulator rope for constant distance & game play. 10 page color instruction manual with cutout warranty card. Wall mounting bracket for easy storage & display. 16 low profile tabs give players the option to customize the game board with any design they choose. BAGGO can be fully customized with any logo, design or photo you like. BAGGO has many great accessories like the BAGGO CADDY & BAGGO CADDY LITE, a portable scoring tower accessory that keeps your score, holds your bags & most importantly your beverage…add some LITE to the CADDY with an option LED shaft that will having you playing BAGGO all night long! Checkout why BAGGO is The Best Backyard Game, EVER!